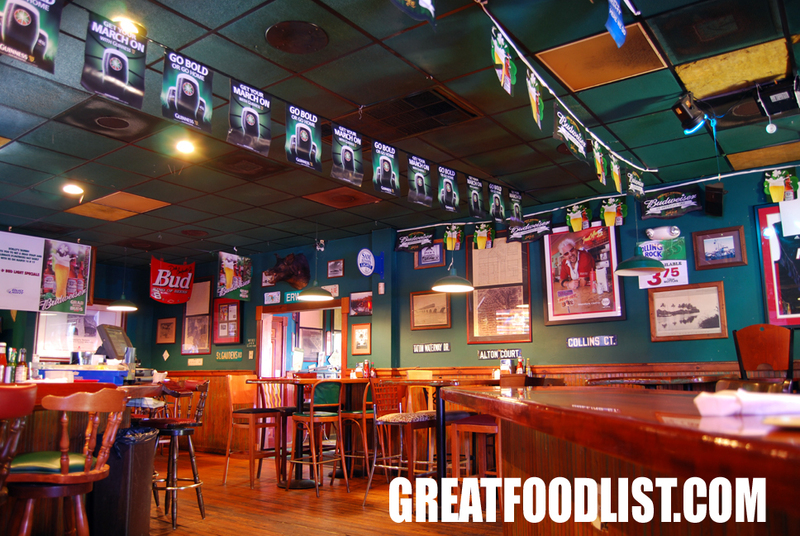 Sure…lots of bars serve green beer on St. Patrick’s Day, but few can measure up to Scully’s Tavern on Sunset Drive when it comes to sublime food. 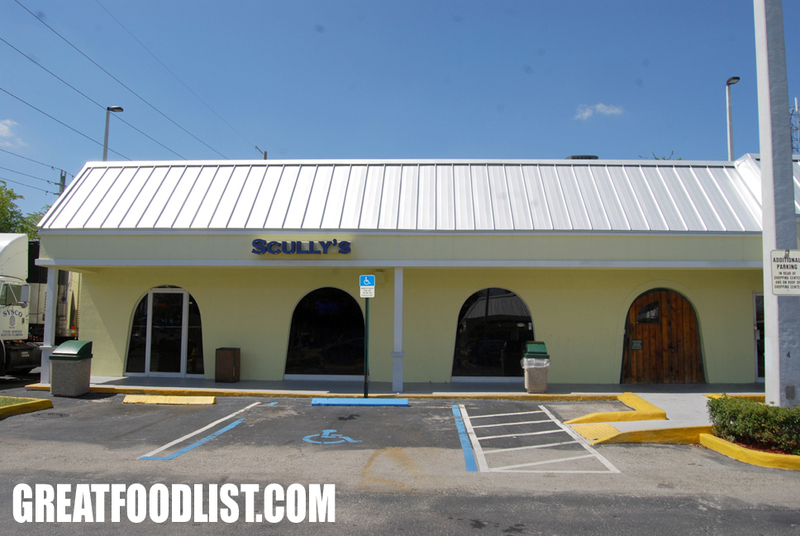 Scully’s has been voted Best Bar Food joint by the Miami New Times several times, and last year the Food Network’s Guy Fieri featured the bar in his hit show Diners, Drive-ins and Dives. In addition to traditional bar fare, Scully’s offers gourmet items, such as escargot, Mussels Provençal and Seared Tuna. One must-try delicacy is the stuffed mushrooms. An order costs $7.95, and truly, it’s a bargain. 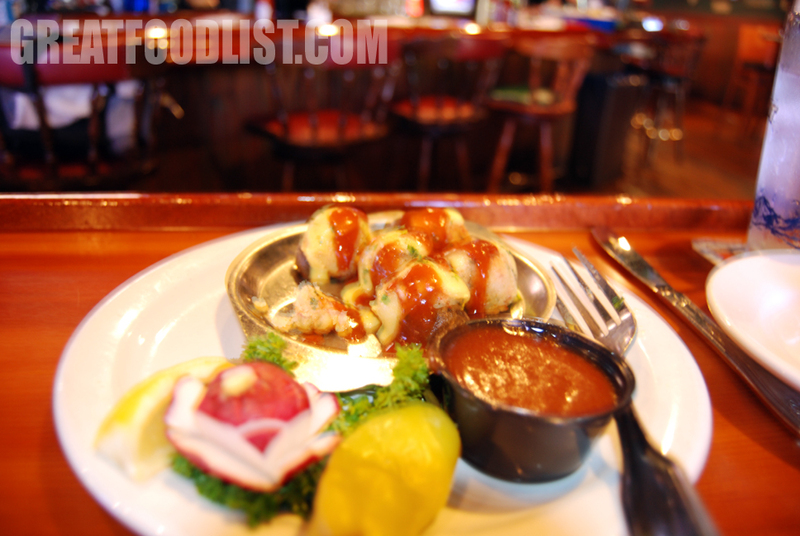 Overloaded with a delicious seafood stuffing, these might just be the best stuffed mushrooms in all of Miami. 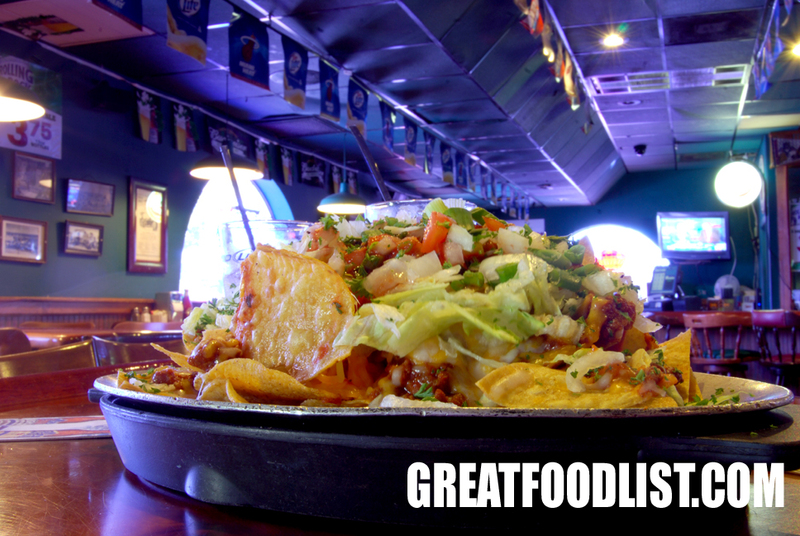 If you’re in the mood for a more substantial appetizer, try Scully’s Nachos for $8.50. You’ll get a large basket brimming with tortilla chips, chili, cheese, lettuce, salsa, jalapeños, and sour cream. 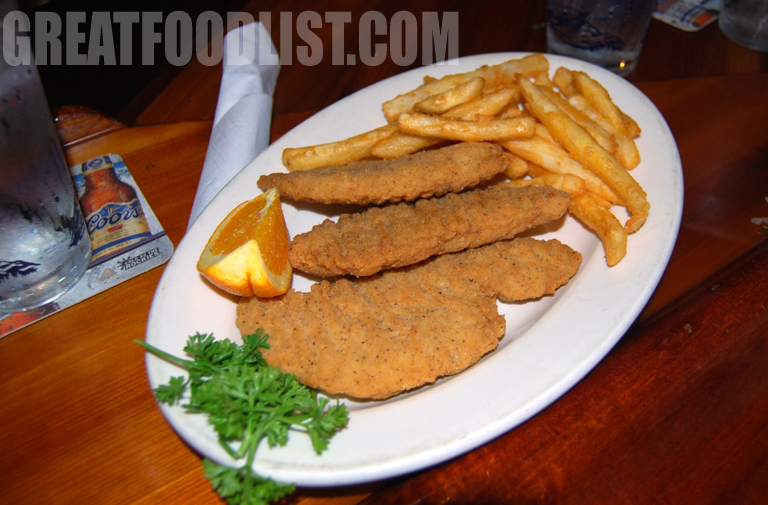 The chicken tenders are another great choice, and a bargain at $6.50 for four huge pieces. Visit Scully’s during one of its off-the-menu barbecue rib appetizer days and dig into about a half rack of scrumptious and meaty barbecue ribs for only $5.95. For dessert, the chocolate cake is a sweet deal at $4.25. For $.25 more, you can get a huge slice of Scully’s bread pudding smothered in a delightful, thick cream sauce. 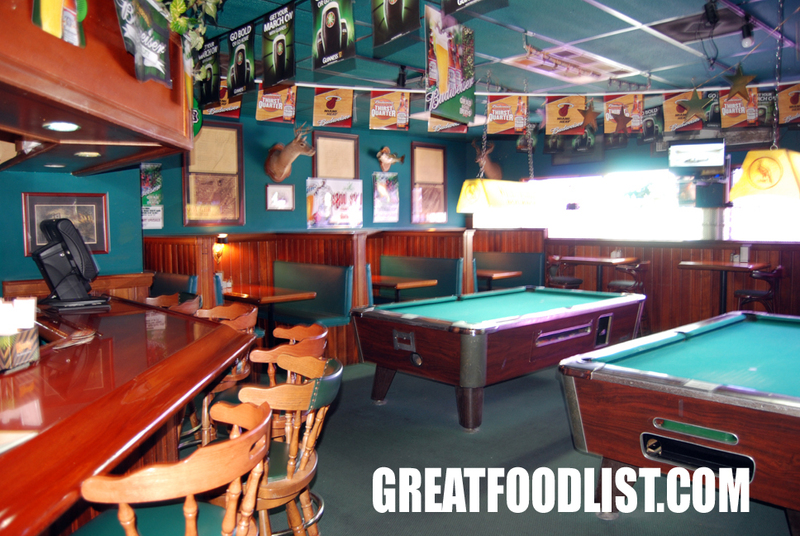 Scully’s is also a great place to hang out. In general, the staff is extremely friendly – you’ll feel an instant familiarity, as if you’ve ran into a long-lost cousin at a family reunion. By day, Scully’s offers a family-friendly atmosphere, while weekend evenings often feature live music and can be loud and boisterous. This year, Scully’s will celebrate its 23rd Annual St. Patrick’s Day Celebration, featuring two days (March 16 & 17) of Corned Beef and Cabbage specials, music by the Mojo Scoundrels and, of course, their famous green beer. On March 17, starting at 7 p.m., the celebration moves outdoors under a tent. There will be free Irish stew, Bud Girls promotions and free giveaways. Monday – Thursday, 11 a.m. to 1 a.m.
Friday, 11 a.m. to 3 a.m.
Saturday, 12 p.m. to 3 a.m.
Sunday, 12 p.m. to 1 a.m.